MAGNET features The Sharp Things — Perry Serpa is Guest Editor this week! 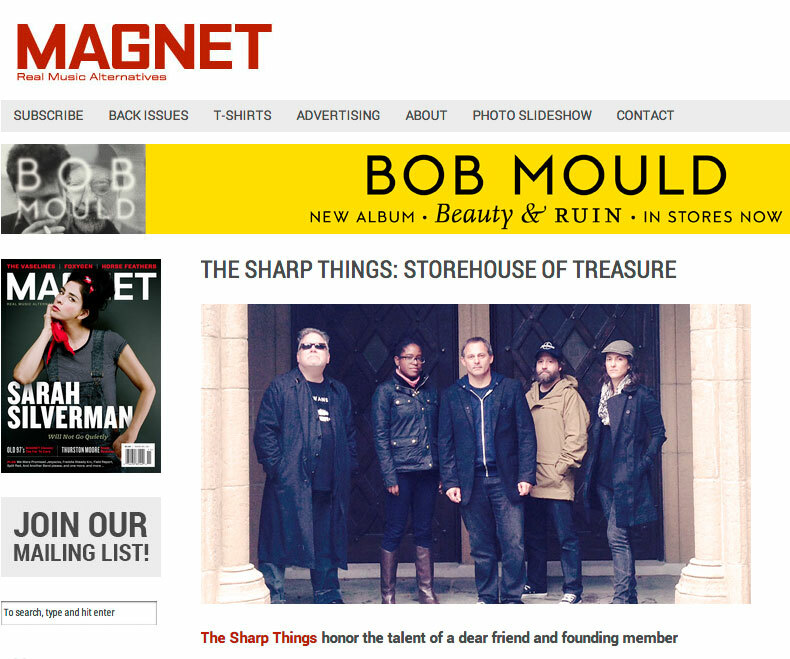 A lengthy, in-depth feature on The Sharp Things appeared this morning on MAGNET’s web site, the first in a series of TST-related posts that will roll out this week as bandleader Perry Serpa assumes the prestigious Guest Editor role for magnetmagazine.com. Previous Guest Editors include Ray Davies, Frank Black, Moby, Bob Mould, Ace Frehley, Rosanne Cash, Carl Newman (New Pornographers), Lou Barlow, Jason Lytle (Grandaddy), Matthew Sweet/Susanna Hoffs, Scott McCaughey (Minus 5, R.E.M. ), Ben Lee, James Iha, Sir Mix-A-Lot, Dean Wareham/Britta Phillips, John Wesley Harding — and now Perry! MAGNET’s editors asked Perry to “pick no fewer than 14 things (can be music, movies, books, art, politics, food — literally anything that you want) and in a paragraph or more say why you chose those things” This week, two of these things will appear as posts each day (one in the morning, one in the afternoon) from today through Sunday, November 30. We’ll be posting all week, so check back soon.